Self-employment remains a financially risky undertaking and one often pursued at the expense of financial security. 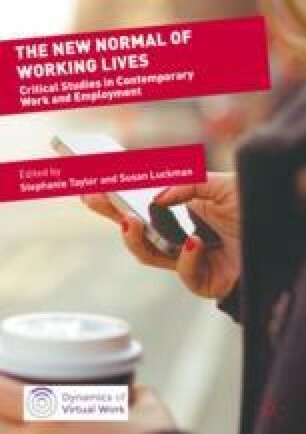 Discussing an Australian study of design craft micro-enterprises, this chapter argues that the growth of craft self-employment is masking considerable un- and under-employment, especially among women. The ease of establishing a professional business profile and the ability to network via social media as a marketing tool provide nascent craft entrepreneurs with a sense of real, sustainable, and significant work, justifying continuing. Their situations exemplify Berlant’s ‘cruel optimism’, whereby that which we desire ‘is actually an obstacle to [our] flourishing’ (Berlant, Cruel optimism, Duke University Press, 2011, p. 1). The social and economic costs to individuals, families, and the wider society of all this effort and risk-taking are profound and require greater attention. This research was supported under the Australian Research Council’s Discovery Project funding scheme (project number DP150100485 ‘Promoting the Making Self in the Creative Micro-Economy). We thank Belinda Powles and Kam Kaur for their invaluable input and assistance with the research project and, as always, the makers who have generously shared their stories with us.